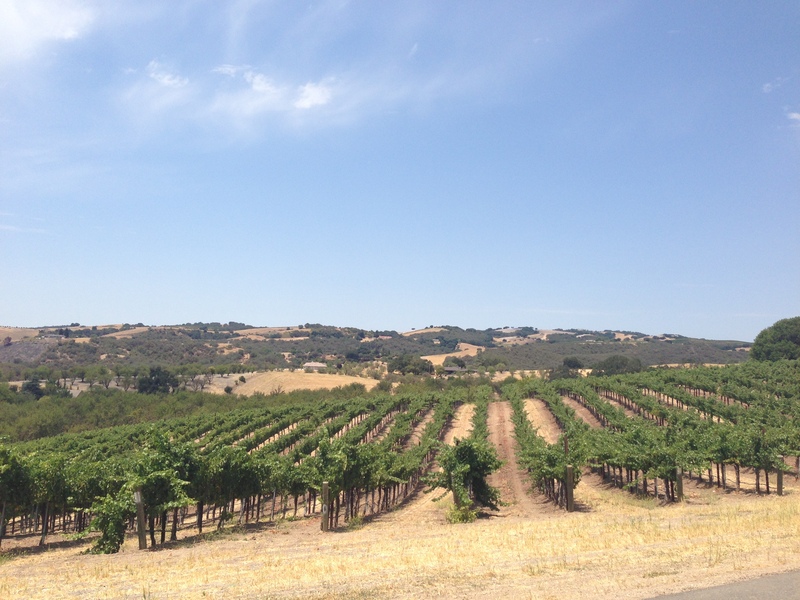 Paso Robles, located just off of the central coast in California, is a lesser-known wine region specializing in Rhone blends. It was perfect for a one night stop on our way up to the Bay Area for the long Fourth of July weekend. We visited seven wineries in all, chosen based on a little research we did the night before we left. It’s not far from Bakersfield, so it’s a shame we don’t go up and visit (and taste!) more often. 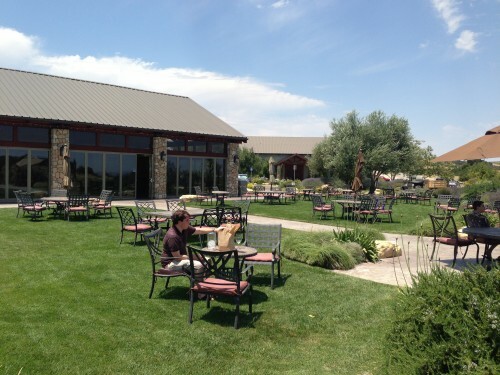 Below is a list of where we tasted and some quick information about each tasting room. 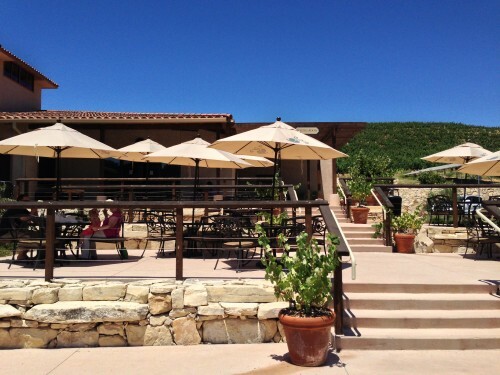 If you are passing by, it’s worth a stop for a new wine tasting experience! The tasting fee is $5 for 8 wines (we shared). We tried one white, one rose, three reds, and three dessert wines (one served with chocolate!). The lady pouring loves her job and talked to us for an hour as we tasted. Overall it was a fun experience with a nice variety of wines. It was a $10 tasting for four Zinfandels, so we shared again. They had a mix of old and young Zinfandels, and it was fun to compare them all. They also had delicious rosemary crackers at the bar – we bought a package for our picnic later in the day. Overall it was the quickest and least personal tasting of the trip, but it’s worth a stop if you are a Zinfandel lover. They have free tastings, so we both had our own. We finally saw the beautiful views we were waiting for (see below). The tasting room is in the barrel room, which was a fun atmosphere. We also were able to taste a 2011 and 2012 Cabernet Sauvignon from the barrel. We’ve done barrel tasting twice before and never have I tasted such drinkable barrel wine. We decided to buy an older vintage of the same wine, hoping that the bottled version would taste even better! The tasting fee is normally $10, but if you check in on yelp, you get a complimentary tasting. We weren’t a huge fan of their wines (some were just too sweet for us), but the patio area was beautiful (pictured below) and had a view of the valley below. We bought a bottle of white wine and picnicked for lunch. The cost is $10 for the reserve tasting and $15 for the signature tasting – both come with small cheese tastes for each wine. One tasting fee was waived with the purchase of three bottles, so we ended up getting the $15 tasting for free. There is an indoor tasting area but you can also take you wine outside to a terrace with tables set up. In my opinion, Jada has the best wines we tasted, but be prepared to spend a bit more (for the tasting and the bottles). $10 tasting for 6 wines – 5 were on the regular tasting menu and they had a bonus rose which was their “wine of the month.” The glass (which was my favorite of all the wineries we visited) was included with the tasting fee. As a bonus, the tasting fee was waived with the purchase of one bottle, so we purchased two bottles and both of our tastings were free. A father and son team own the winery and they specialize in Italian varietals. The six wines to taste were Nebbiolo, Cabernet Sauvignon, Merlot, Aglianico, Sangiovese, and Zinfandel and they are all 100% (no blends). They only produce 2,500 cases per year and don’t really distribute, so we took advantage and bought four bottles for $16 each (two Nebbiolo and two Sangiovese) – the cheapest stop on our trip! On our next trip to Paso Robles we will probably taste at different wineries (there are so many to choose from), but if we do repeat, I would prefer to taste at Écluse, Jada, and Caparone, as those were my favorite wines. That being said, none of those were great for picnicking, so choose Turley, Tablas Creek, or Calcareous for a place to enjoy lunch. And finally Rotta was by far the best experience, so if you have time, it’s worth a stop to appreciate a tasting room with history and character. This entry was posted in Things To Do, Travel and tagged California, Paso Robles, United States, wine tasting by Kristin. Bookmark the permalink.